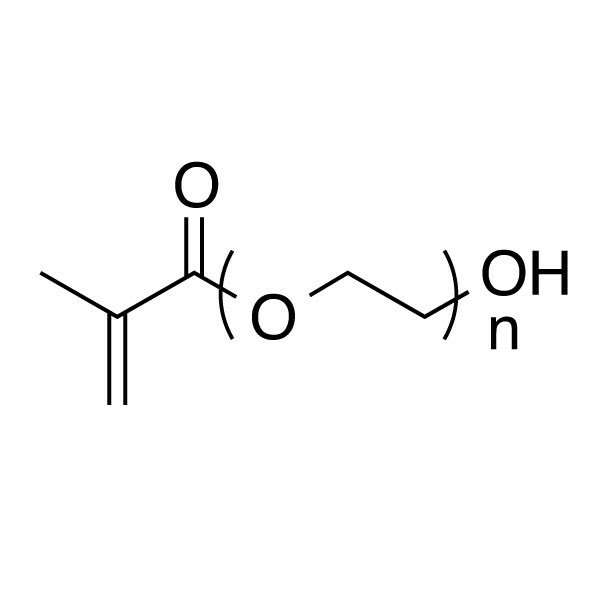 PEG monomethacrylate (HO-PEG-MA 440) is a long-chain hydrophilic macromonomer used to introduce hydrophilic sites into polymers, to stabilize emulsion polymers, and to prepare comb polymers. Homolog of 2-Hydroxyethyl methacrylate (HEMA) bears 10 ethoxy units on the ester linkage (PEG =10). These water soluble pendant, non-ionic side chains not only increase water compatibility in the polymer but can enhance stabilization of latex systems alone or in combination with added non-ionic surfactants. Store away from light. Store at 4°C.